There are no hidden catches – just clear, competitive, straight forward pricing. Please see below for a brief description of our services, and feel free to click on the links for more details. Don't hesitate to give us a call if there's anything you'd like to discuss, we're happy to help! Our tenant find fee is £399 including VAT. This will include an initial visit to provide a valuation and take photos of the property, and then place an advert on Rightmove to attract potential tenants. We will conduct viewings to prospective tenants and then once we have an applicant who would like to proceed, we'll call you to discuss it and keep you informed. We then begin our thorough referencing process to credit check an applicant, as well as checking previous landlord references and employment. Once this is complete we will issue a tenancy agreement, collect and register the deposit and arrange the check in. We will undertake a thorough inventory before the tenant moves in, and notify the utility companies for you once the keys have been handed over. Should you decided to manage the property yourself we will provide you with the tenant's details, inventory and tenancy agreement after the check in, and you will take over from this point. Please click here to see more about our Let Only service. 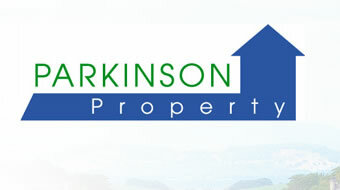 Going forward from the initial tenant find, we will fully manage the property for you. Your property will be assigned to one of our dedicated property managers, who will collect rent payments, arrange repairs up to an agreed limit, conduct inspections every 3 months and much more. The fully managed package is designed to give complete peace to mind to landlords, feel free to check out our testimonials page for reviews from some of our landlords. Please click here to find out more about our fully managed service.